Arkansas Baptist College (ABC), originally known as the Ministers Institute, was founded by both black and white religious leaders in 1884. 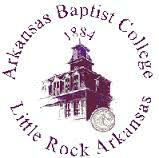 Arkansas Baptist College is a private, historically black, four-year liberal arts college. Arkansas Baptist College is dedicated to the development of graduates who are exceptionally educated, spiritually and culturally aware, and able to meet the demands of our rapidly advancing society. Arkansas Baptist College prepares students for a life of service grounded in academic scholarship, the liberal arts tradition, social responsibility, Christian development and preparation for employment in a global community; a great fit for active military and veterans seeking to advance their education. Arkansas Baptist College offers degrees in business administration, human services, criminal justice and religious studies. The College also offers two-year associate liberal arts degrees and certificate programs. As one of Arkansas’ most affordable institutions of higher education students can use their GI bill education benefits. The College strives to attract students who desire a personal approach to their education with smaller classes, dedicated instructors, a sense of community, and spiritual values and principles integrated throughout their collegiate experience. 1621 Dr. Martin Luther King Drive.